The lion (Panthera leo) is one of the four big cats in the genus Panthera, and a member of the family Felidae. With some males exceeding 550 lb in weight it is the second-largest living cat after the tiger. 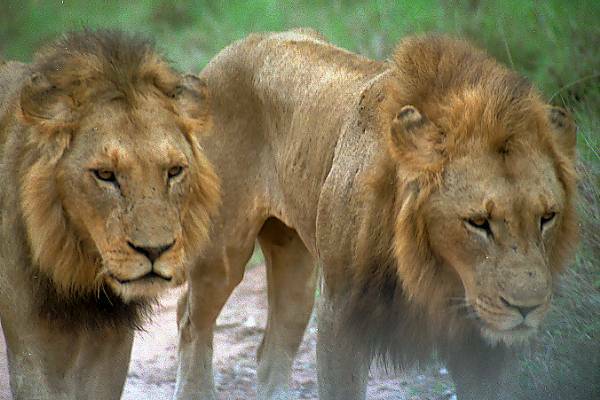 Wild lions currently exist in Sub-Saharan area of Africs and in the continent of Asia with a almost endangered remnant population in Gir Forest National Park in India, having disappeared from North Africa and South Africa in historic times. Until the late Pleistocene, about 10,000 years ago, the lion was the most widespread large land mammal after humans. They were found in most of Africa, much of Eurasia from western Europe to India, and in the Americas from the Yukon to Peru.